Paris is a gray place. On past trips I searched out long shadows and black & white landscapes. On this trip, I challenged myself to seek more color. 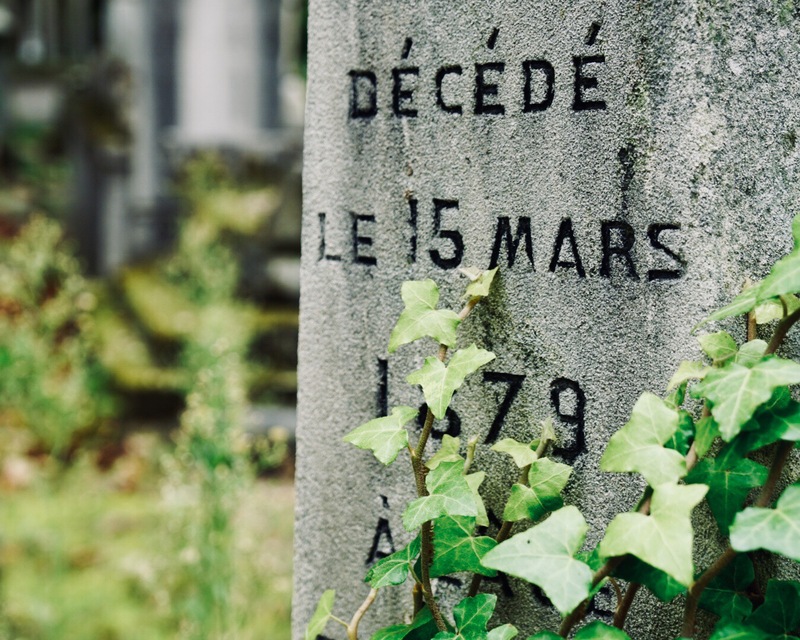 I found it in Père Lachaise Cemetery on a sunny afternoon. My first trip to the cemetery was in 1993 while in Europe on a semester abroad. Like everyone else, we searched out the gravestones of Jim Morrison and Oscar Wilde. Now when I visit I take leisurely strolls along leafy paths and bask in a few moments of quiet in an otherwise frenetic city. While tourists flock here much more than they have in years past, there are still corners of the cemetery relatively free from groups led along with little flags. Cloudy days make for dramatic visuals, but so do sunny ones when bright flowers pop against patinaed monuments to the dead. 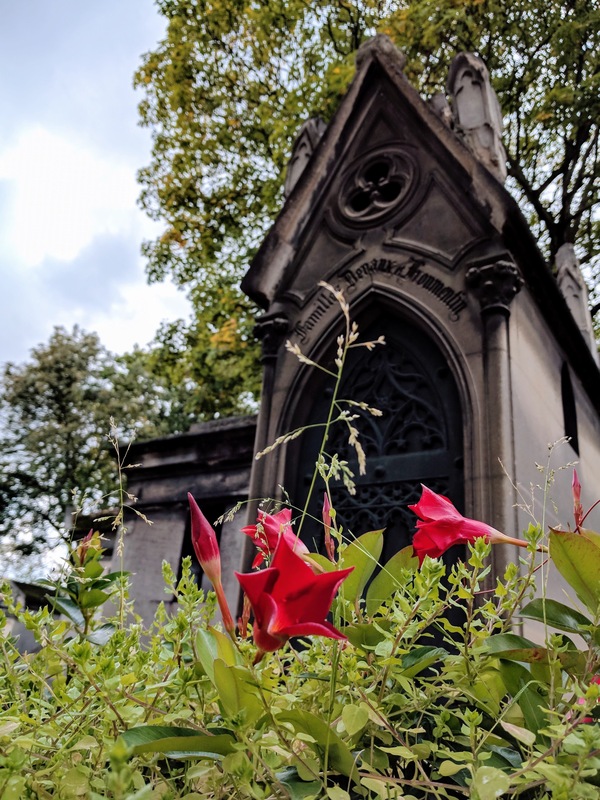 My cemetery lover friends already know this, but Père Lachaise is one of my fave places for a picnic in Paris — high on the list that includes the Jardin du Luxembourg and Canal Saint-Martin. 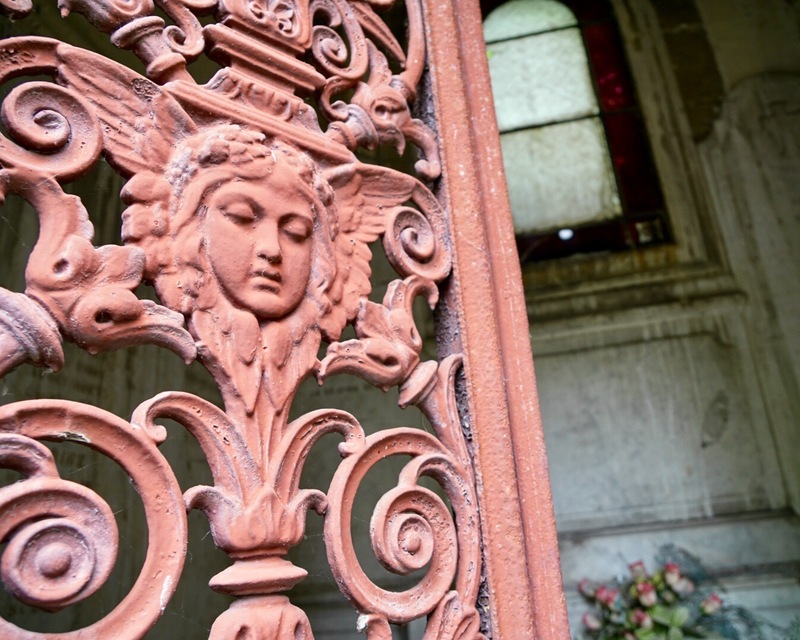 And there’s always more ornate detail to discover on return trips.